St. Martin's Griffin, 9781250059659, 384pp. 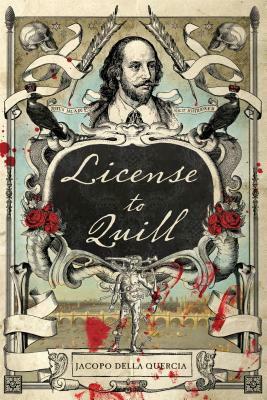 License to Quill is a page-turning James Bond-esque spy thriller starring William Shakespeare and Christopher Marlowe during history's real life Gunpowder Plot. The story follows the fascinating golden age of English espionage, the tumultuous cold war gripping post-Reformation Europe, the cloak-and-dagger politics of Shakespeare's England, and lastly, the mysterious origins of the Bard's most haunting play: Macbeth. You won't want to miss this fast-paced historical retelling!